The March Scrapbook Circle kit is available and if you haven't seen it yet you must go to Scrapbook Circle RIGHT NOW lol! It is called Vintage Market and it is PACKED with brand new product from Echo Park, Crate Paper, and Lily Bee. There is a full sticker sheet from Echo Park's For the Record that has 4 different alpha styles AND word stickers AND border stickers. 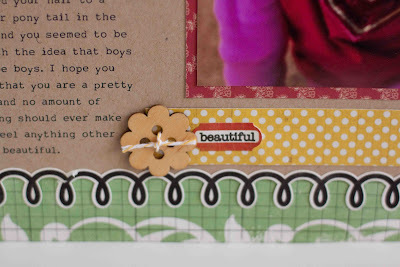 There are gorgeous Bazzill vintage buttons and those amazing Studio Calico Wood Veneer buttons. If you are anxiously waiting for the new product from CHA, wait no longer! Head over to Scrapbook Circle and pick up your own Vintage Market! 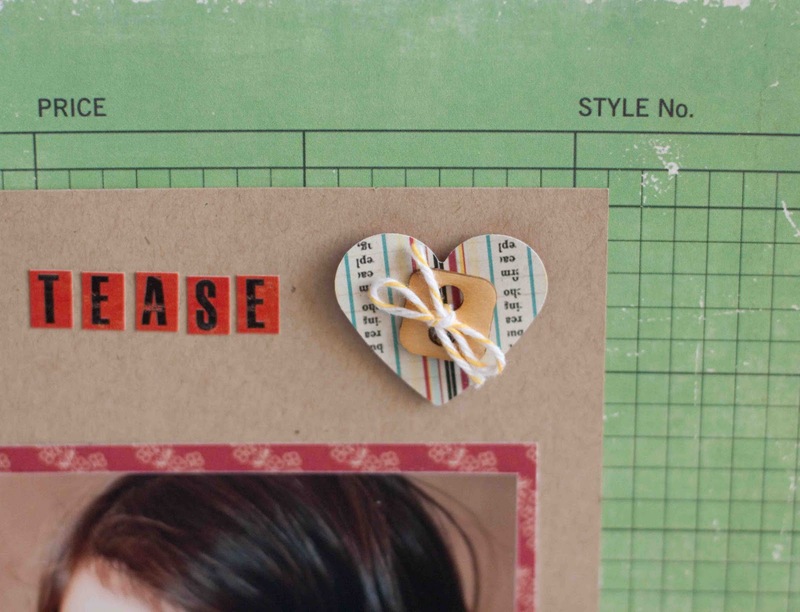 The only things on this layout that are not from the kit are the Bazzill Kraft cardstock and the bakers twine. 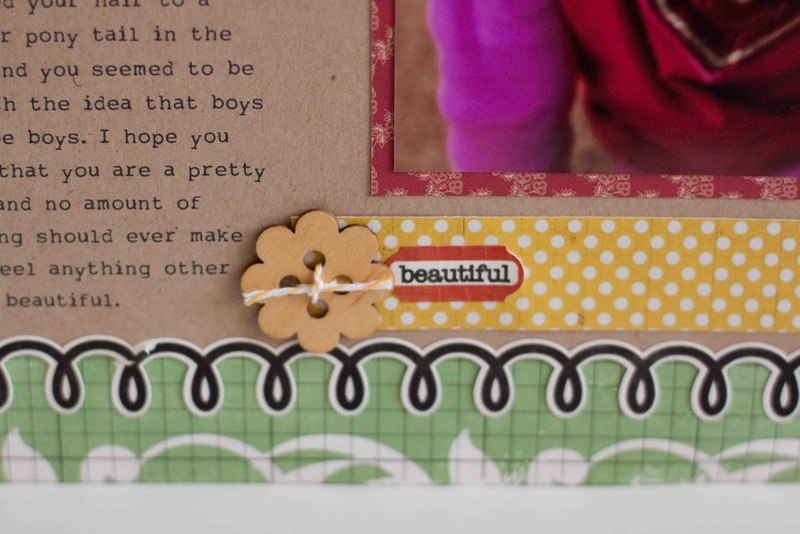 There is tons of fabulous inspiration with the Vintage Market kit HERE. AND, you have a bit of time left to win one of these amazing kits at Lisa's blog. GREAT layout! So glad to see that your journaling comes first. ooo I love the simplness of thsi Rebecca really keeps the focus on the photo and journalling!!! 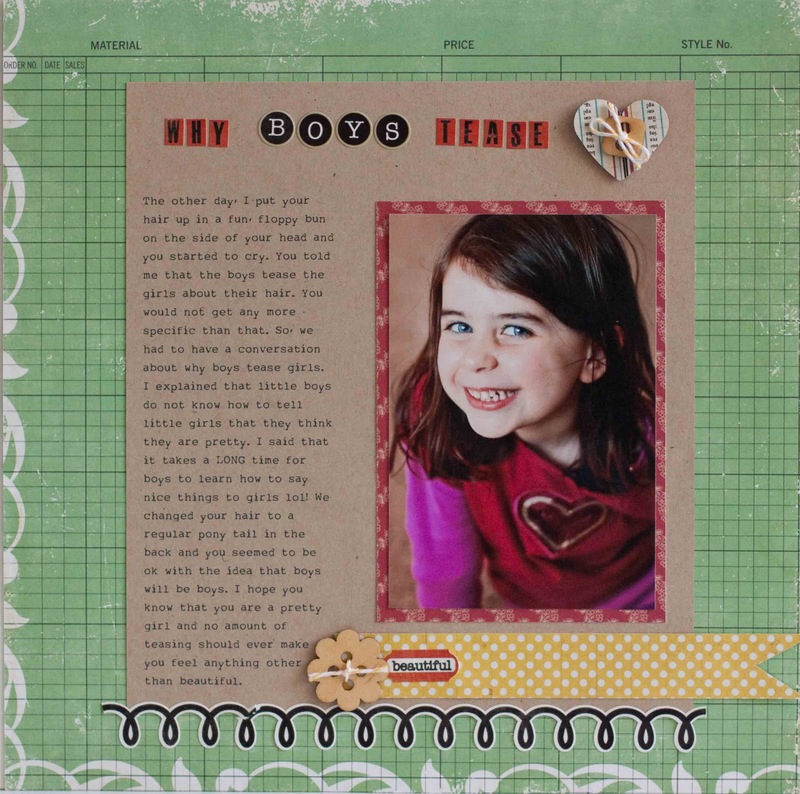 Beautiful layout Rebecca! Btw, I've given you a blog award, head to my blog to check it out and pass it on! This is great! 'The kit looks fab too! And I saw a congrats are in order for you too!!! ;) I'll let you announce though! Well deserved, Rebecca! 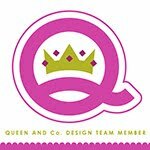 Congrats on making the GCD team - I look forward to working with you!